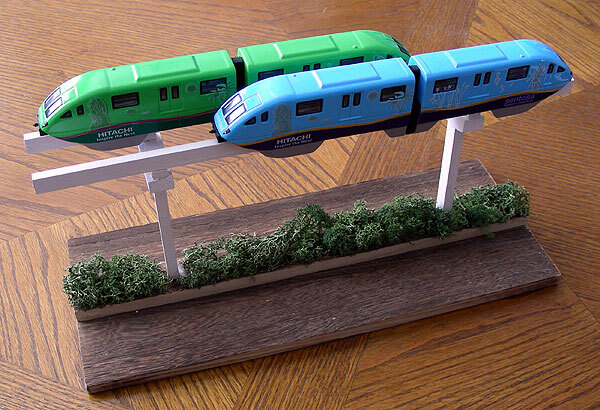 The fine folks at Hitachi took the diecast metal Sentosa Monorail toys and created this nice little display. 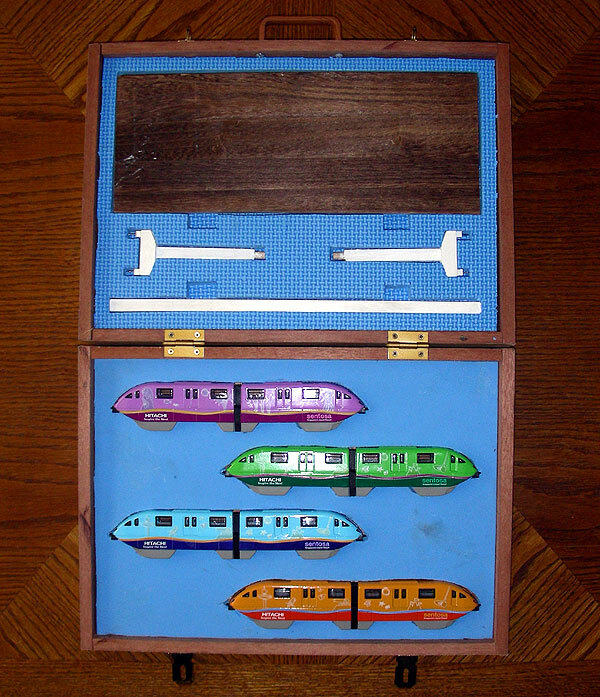 Materials include balsa wood, model railroad shrubbery and various pins to attach the pieces together. The incorrectly placed wheels that come with the toy, allowing them to roll on the ground, were removed to make the display more accurate. The entire display breaks down and can be carried in this one-of-a-kind wooden case. 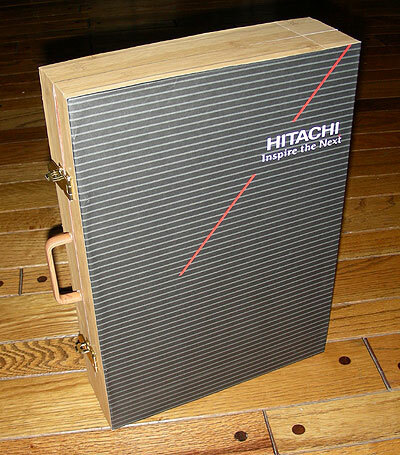 To complete the package, the box exterior has "Hitachi-Inspire the Next" on it. Hopefully this model might inspire other model makers to make such clever conversions. Our sincere thanks to Hitachi Ltd. for donating this display to The Monorail Society!